The Eleaf Invoke is a giant step for Eleaf with a centered 510 and larger 1.3-inch display. A beast behind the beauty, Eleaf Invoke boasts an elegantly crafted compact profile while allowing a massive output power of 220 watts by dual 18650s. Along with a fresh easy-to-go interface, it handles swiftly. The new ELLO T atomizer features the popular HW coils for intense flavor and cloud and has an e-liquid capacity from 2ml to 4ml. Eleaf Invoke with ELLO T is a cut above the rest. The Eleaf Invoke features elegantly crafted curves for the most stunning looking and the most comfortable feel in hand ever. With an ultra compact size, it's very easy to carry around. and concisely. Along with a fresh easy-to-go interface, it handles swiftly. 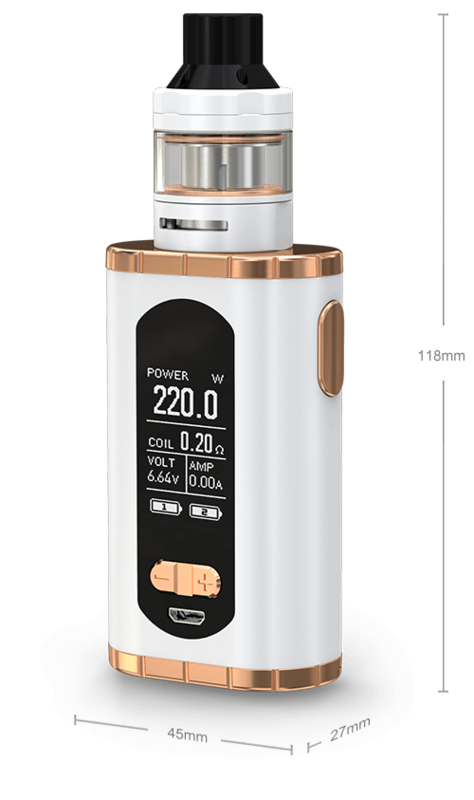 With centered 510 pin, the Eleaf Invoke can accept tanks of various diameters. It can handle tanks up to 27mm without any overhang. Powered by dual 18650 batteries, the Eleaf Invoke delivers a maximum power of 220 watts, allowing endless output possibilities to suit your taste. And the flip-open battery door makes replacing batteries hassle free. HW4 Quad-Cylinder 0.3ohm Head, allowing great vaping experience with intense flavor and cloud. Note: All the data above were based on the tests by Eleaf factory. Only for your reference. 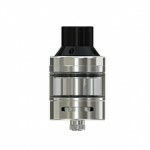 The tank can easily be filled with e-liquid by removing the top cap. reassembled, very convenient to clean. With 2A maximum charging current, the batteries can be fully charged much more quickly. A battery balancing trickle charge system is introduced into the Eleaf Invoke to bring two batteries to the equal level charge, which also ensures high security in charging. 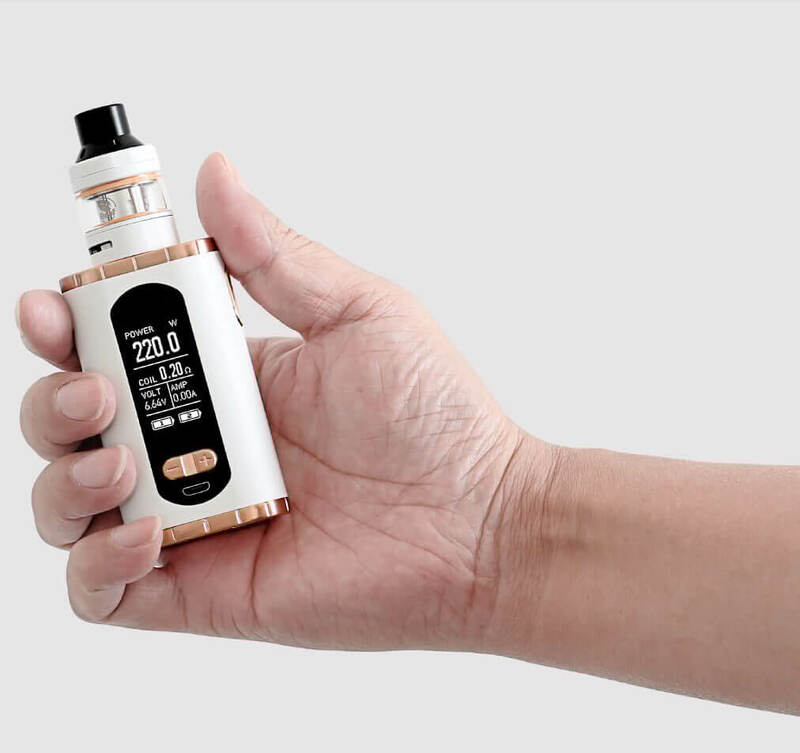 To obtain larger e-liquid capacity of 4ml, simply replace the pre-installed glass tube with the other taller one and an extra air pipe that are both provided in the package. With the Reverse Charging (RC) adapter, the Eleaf Invoke will convert the 510 connection into a USB output for power bank mode, providing power to your cell phone or other e-cig device. Charging: the 18650 batteries can be charged in the Eleaf Invoke through the side USB port via wall adapter or computer or charged with an external battery charger. Download the file below to put custom logo into your Eleaf Invoke.